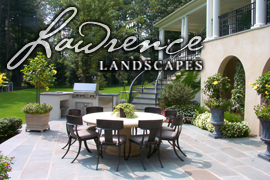 With the weather warming up it's time to start cooking outdoors and upgrade your outdoor living space. With the incomparable flavor of outdoor cooking, the relaxing comfort of an al fresco setting, the air scented with sweet smoke and illuminated candlelight, the outdoor kitchen provides many hours of pleasure for family and friends. Grilling continues to trend upward in popularity according to Weber's 19th Annual GrillWatch Survey. 54% of grill owners grill all year round, 43% grill during the week, and 90% prefer grilled food to food cooked indoors. 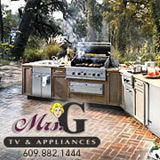 Mrs. G's offers grills and grills accessories from Weber, Viking, Lynx and Wolf.